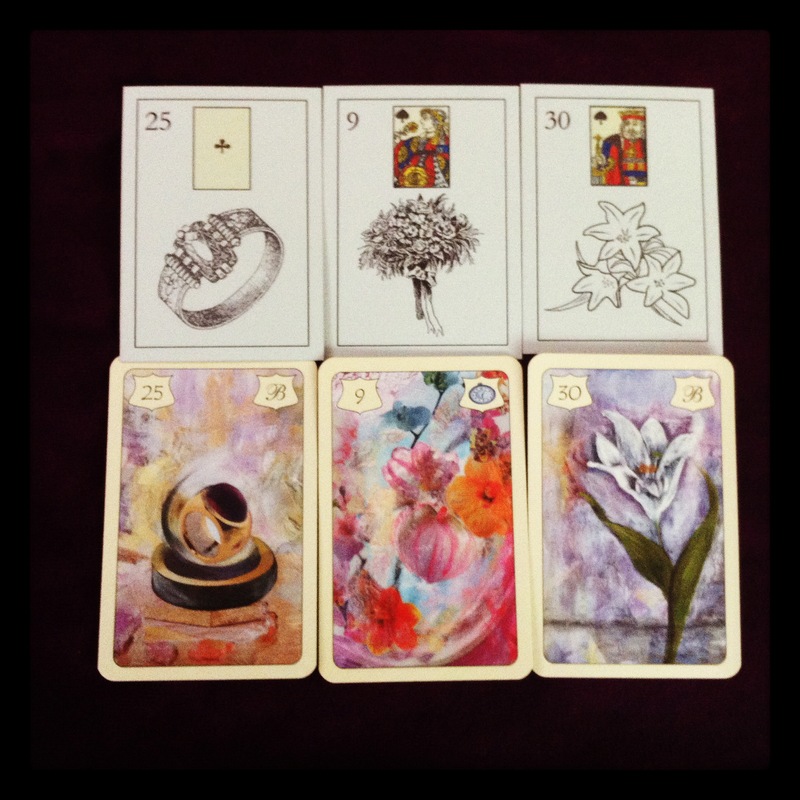 I am planning to continue posting some of my homework assignments from Cartomantes’ Cabinet group, hoping that it might be of interest to other Lenormand lovers. I am currently working through Lesson 3. The last part of this assignment is to observe and analyze daily draws for a week according to specific criteria. Date: Sunday, May 6th 2012. 10:45 AM. (2) The other thing that comes to mind is that I’ll receive a gift from my husband. We regularly get flowers on the weekend for various altars in our sanctuary. Today my husband bought two bouquets — knowing that in one of them there’s a rose he wanted to give me, since I ended up feeling progressively under the weather. 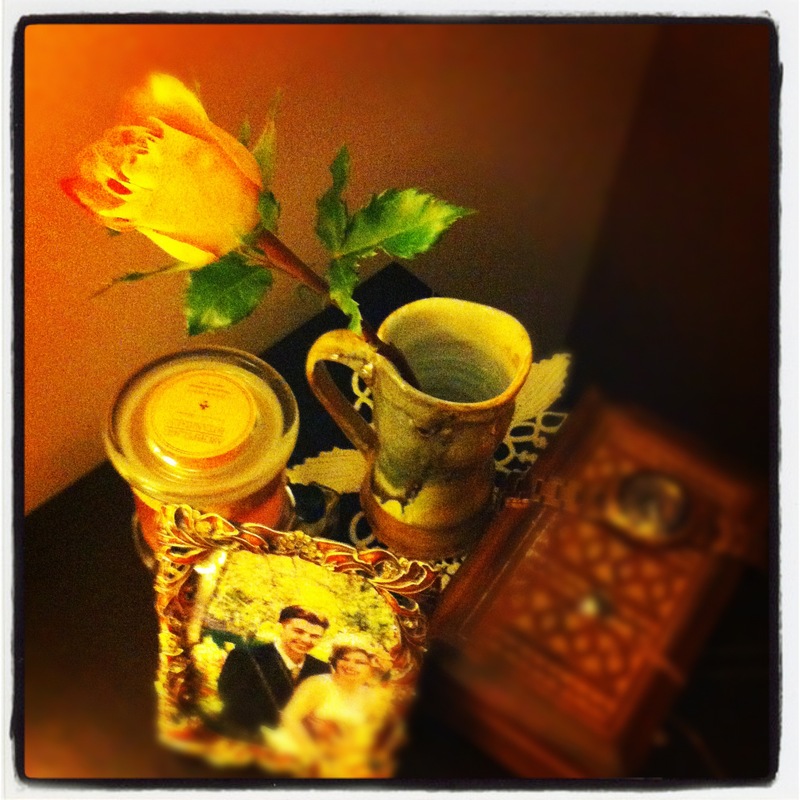 He surprised me by placing a beautiful rose on my night stand to cheer me up. So I got a pleasant and literal gift of flowers from my husband. It’s hard for me to disconnect from “big” meanings and combos, and I get especially stuck on them while looking for daily information vs. big / periodical spreads.